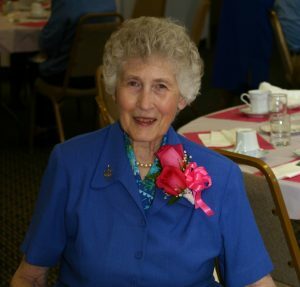 Sister Roberta Schmidt, CSJ, former Diocese of Venice Director of Education, died Jan. 2, 2019 at the de Greef Hospice House in St. Louis. Mo. She was 90. Sister Roberta Schmidt, Sister of St. Joseph of Carondelet in St. Louis, Mo. Diocese of Venice Director of Education from 1993 to 2008. She died Jan. 2, 2019 in St. Louis. Sister Roberta, a Sister of St. Joseph of Carondelet in St. Louis, Mo., had a 56-year career in education and taught at all levels of Catholic education from elementary school through college and lived her life as a committed witness to the social teachings of the Church and the role of education and formation. She worked in the Diocese of Venice as Director of Education from 1993 through 2008. Perhaps she is best known for her participation in two Civil Rights Marches in the 1960s and for her commitment to social justice issues. Born in Kansas City, Mo., in 1928, Sister Robert entered the Sisters of St. Joseph of Carondelet on Sept. 15, 1949, and was received into the novitiate as Sister Ernest Maria on March 19, 1950. She earned a bachelor’s degree from the College of Teresa (now Avila University), and her master’s degree and doctorate from St. Louis University. Prior to coming to the Diocese of Venice, Sister Roberta served in the Archdiocese of Atlanta as Secretary of Education. Previously, she held administrative positions in higher education in the Archdioceses of San Antonio and St. Louis as well as the Diocese of Birmingham. She also taught elementary, secondary and collegiate levels in the archdiocese of St. Louis. In March 1965, she and two others from her religious order travelled to Selma, Ala., to join hundreds of protesters who responded to a direct appeal to clergy from Dr. Martin Luther King Jr. and were seeking voting rights for African-Americans in the South. To voice their support the trio joined in marches from Brown Chapel to the courthouse for several days. The sisters were the subject of a Civil Rights documentary and in 2015 the religious women received honorary Doctorates of Human Letters from Avila University (formerly known as the College of St. Teresa), Sister Roberta’s Alma Mater, for their contributions at Selma and to the global community. Under the guidance of Sister Roberta, the Diocese added the Institute for Pastoral Studies and Formation, which offers advanced degrees in theology; St. Mary’s Academy in Sarasota for students with learning disabilities; expanded adult faith formation programs; and St. Catherine Catholic School, the first Catholic School in the Eastern Deanery. Following her 2008 retirement, Sister Roberta lived peacefully in Venice before moving to St. Louis in 2017 to live at the Sisters of St. Joseph of Carondelet motherhouse. A Memorial Mass will be held Friday, Jan. 11 at 10:30 a.m. at Nazareth Living Center, 2 Nazareth Lane, St. Louis, MO 63129.